About Nykaa- Nykaa.com is a premier online beauty and wellness destination. It offers beauty and wellness products for men and women at best prices. The products are 100 percent genuine and authentic, sourced directly from the brands. Visit Nykaa for a hassle-free shopping experience, the virtual makeover tool, beauty advice and assistance on the phone, free expert advice and articles on beauty trends and tutorials and celebrity looks. You have the option of paying via Cash on Delivery, Debit Card, Credit Card and Net Banking processed through secure and trusted gateways. Now it.s easy to shop for makeup, skincare, hair, bath and body, fragrances, herbal, wellness, mom and baby, and gift products on Nykaa. Avail of some great offers on beauty and wellness products as well. 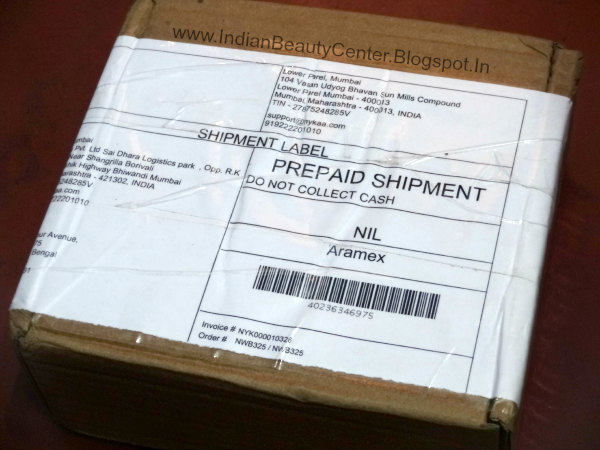 Nykaa also offers free home delivery for many brands. Browse through leading brands such as Ponds, Dove , Gillette, Johnson & Johnson, L'Oreal, Garnier, etc. 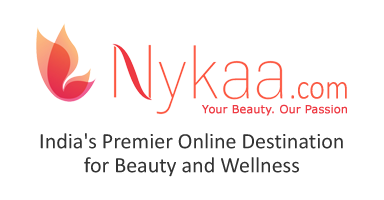 Let Nykaa make your beauty and wellness online shopping experience even better! Placing an order with Nykaa is very very easy! You just have to choose the beauty products you want, add them to your cart and then checkout! Enter your details in the form that will come during checkout, including your area pincode and then select the mode of payment- Cash on Delivery, Debit Card, Credit Card and Net Banking processed through secure and trusted gateways. After that, you get an email telling you that you have placed an order and when they dispatch the order, then also you get mail with the tracking number and all necessary details, crystal clearly mentioned. Nykaa.com has a lot of products including makeup brushes, skin care products, L'Oreal cosmetics and products from other well known cosmetic brands too! I placed the order and received it within 3 days I received my package. Opening the box, I saw the invoice, the products- perfectly bubble wrapped and neatly arranged too! These people at Nykaa are just awesome! I got so so excited to see my package arrive so early and everything was safe, genuine and new! Their customer service replies fast and are really kind and answer your question to the point. Great review, The variety of beauty products they have is great! never shopped from nykaa but looks good definitely! 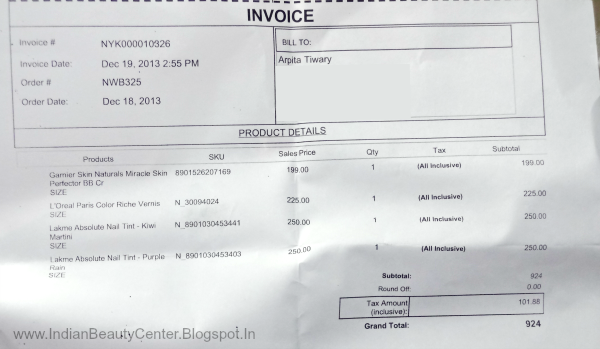 I was planning to shop from Nykaa now I'm all set to shop from them, thanks for sharing Arpita. I haven't shopped from them, but it sounds great! I can trust only if allowed COD for any billing.